Hey everyone! If you’re logging into the game after an extended absence, you may find that the official server you once played on no longer exists. 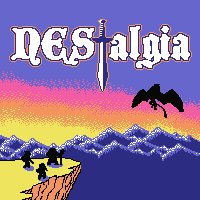 We try to add and remove official NEStalgia servers according to the ebb and flow of demand (usually determined by big updates and Steam sales) in order to ensure that the active player count on each server doesn’t end up too high or too low. In an ideal world we’d just lump everybody onto one massive server, but unfortunately a single server just can’t handle that type of active player load. All savefiles on Algol, Greenlight and Zenithia that haven’t been accessed since December 31st, 2012 have been moved off of the official servers and posted online so that legacy players can download them for use in single player or public server games. If you are a paid NEStalgia user returning to the game, we will be happy to transfer your stored savefiles to an official server of your choice once you return. Please email us at team@silkgames.com with the subject “Legacy Transfer: [Your BYOND Key]”. We’ll need to know your exact BYOND Key (username) as well as the server that you’d like to transfer from, and your new target server. We’d prefer to keep these savefiles in the mix on a live server, but due to the sheer quantity of these older savefiles (upwards of 50,000), this solution makes the most sense. All savefiles accessed anytime after September 1st, 2013 have been merged into the “Malice” server. All other post-2013 savefiles (accessed January 1st, 2013 to August 31st, 2014) have been merged into the “Greenlight” server. Please read the note above about savefiles last accessed prior to 2013. All savefiles have been merged into the “Doom” server. 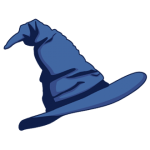 All savefiles have been merged into the “Midgard” server. Please read the note above about savefiles last accessed prior to 2013. No other savefiles have been moved. No savefiles have been moved. All savefiles have been merged into the “Malice” server. All savefiles accessed anytime after January 1st, 2013 have been merged into the “Doom” server. Please read the note above about savefiles last accessed prior to 2013. If you wish to have your savefile transferred to a different server, we’re offering free savefile transfers through January 31st, 2015. You cannot transfer specific characters; only whole savefiles can be moved. You can merge savefiles between two servers, but only if the total character count does not exceed 16. We’ll start accepting these transfer requests on December 29th, and will post more details at that time. This particular series of merges is long overdue, and I apologize for the delay. In the future I’ll work to be more vigilant about merging down servers after large population spikes. If you have any questions or concerns, please feel free to email us at team@silkgames.com or comment below. My Save from Ennar isn’t showing up in Midgard. I’ve tried emailing you and posting a bug report. I’m still awaiting a response. I’ve sent an email about moving my characters from Greenlight to Midgard, yet no response for weeks. I haven’t heard back yet either. I bet they have tons of transfer requests to deal with and will get to it when they have the time.